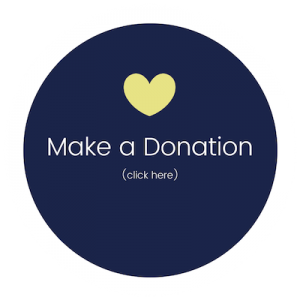 Please visit my 2018 Ride Don’t Hide donation page directly to make a donation to the ride and receive an emailed tax receipt right away. If you wish to use a pledge form, simply visit my contact page to message me your request. I want to let everyone know about my AMAZING Financial Advisor. Marco DiCocco has helped my husband and I with our retirement plan and the only thing I regret – is not starting with him sooner. He uses a detailed and comprehensive approach in his financial planning. He will go over your current financial situation and ask you about your short term and long term financial goals. His job is never to discard your current financial plan but rather add to it or help improve it. 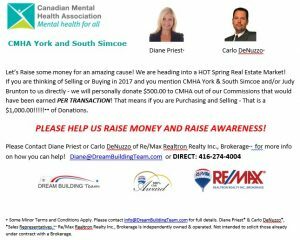 And please don’t keep him a SECRET – he can help everyone – just like he did for my husband and I.
Diane and Carlo – the Real Estate team from the Dream Building Team are generously donating $500 per house sale/purchase transaction. Therefore, if you buy and sell a home with this team, $1,000 will be donated. You can help me raise money by buying gift cards for yourself (to the stores you shop from most often) or for friends and family as gifts for their birthdays, anniversaries, weddings, holidays etc. Each retailer you purchase a card from – a certain percentage is given to CMHA all in hopes of helping me raise as much as possible for local youth mental health programs. Cards will be delivered directly to your house – or the house of the intended recipient – if this is a gift. Please pass this around to everyone who you feel will be interested – even businesses can purchase their cards for their customers as well. The options are endless. I am selling these bracelets, necklaces and earrings for $15 each (plus shipping if applicable) – $5 from each will be going directly to CMHA York and South Simcoe. The donation of funds from these bracelets is generously given by my friend Julie from A Bed Of Roses Medispa – Let me know which ones you would like to purchase via my contact page. Also please contact me through my contact page – and we can set up payment – which would be required ahead of time via either PayPal or EMT. Delivery charges are only applicable if the buyer lives outside of Aurora or Newmarket, Ontario. Delivery of the books is available anywhere that mail is accepted.